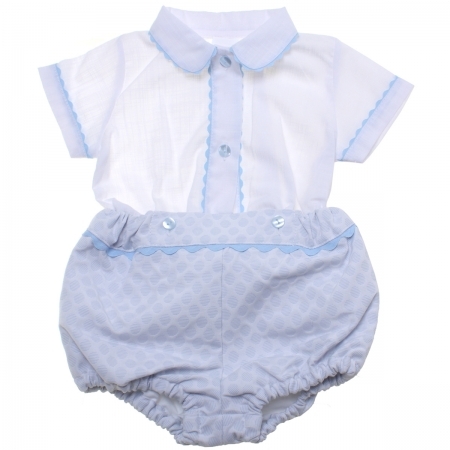 Lovely for the summer boys two piece set. The shirt is white with blue scallop frills around collar and sleeves. The shorts are buttoned to the shirt. 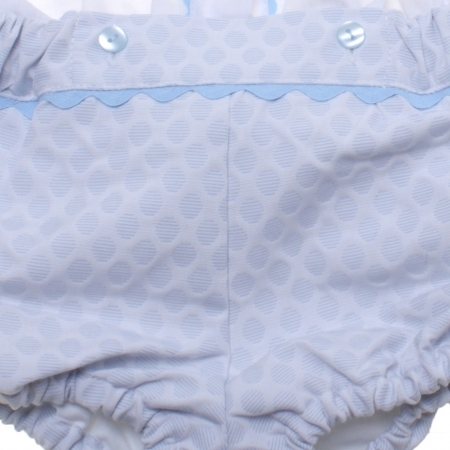 They are made with blue white dots fabric, fully lined and decorated across the waistband with blue scallop frills. Good quality material made in Spain.